The Musical collection includes scores,, musical books, gramophone records, audiocassettes, compact disks, educational method guides, encyclopedias, librettos, dictionaries and reference books, language courses, musical serials (newspapers and magazines). Music publications are over 50 000 vol., theory-of-music literature is over 40 000 vol., there are over 18 000 items gramophone records, audiocassettes and compact disks. The Collection total playtime is over 30 000 hours of music from all genres! The Library houses unique copies of rare and valuable Bulgarian musical editions. The Musical department contains the richest and the best-preserved collection of musical publications from the end of 19th century and the following decades. It is the only way to get a comparatively full idea of the first Bulgarian music publishing houses production (“Nitche” in Varna, “St. I. Rigolev” in Rousse, etc.). 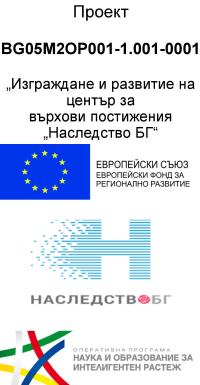 The music publications preserved from that period are the unique source of information of the works of composers of songs and petty instrumental melodies and pieces, compliant with the needs of musical education in Bulgarian schools of the time. Such composers are A. Stoyanov, A. Bojinov, R.M. Zaichov, D. Boychev, etc. Amongst the most valuable sound-track documents are three albums of gramophone records from “His Master’s Voice”, “Columbia”, “Polydor”, “Gramo-la” from 1930-40; a full collection of Maria Callas records on gramophone records and compact disks); a jubilee edition of the complete collection of J. S. Bach on 172 “Hansler” CDs; recitals of Boris Christoff, Enrico Caruso, Placido Domingo, Joan Sutherland, Montserrat Caballe; thousands of instrumental works and opera albums of the best players; many precious books from 1800 – 1830; the Russian imperial theatres repertoires (1830 – 1890); the complete collection of W. A. Mozart, P. I. Tchaykovski; musical scores and piano works of some of world’s biggest publishing companies (“Ricordi”, “Peters”); the “Grove”, “MGG”, “La Rouse” encyclopedias, etc. The Department has a modern sound recording studio and a studio for listening. It also offers Internet access and document scanning. The musical collection has a 50 years old history. In 1951 the musical publications were taken out of the Library main collections and were set apart in a separate collection. At the same time Mrs. Lilia Nikolaeva launched the Musical Department to the Library. From the end of 1960s Mrs. Vessela Magneva, who has special merit in enriching and presenting the collection, has run the Musical Department in the course of 30 years. Numerous donations from the private libraries of people caring for the development of musical culture like Georgi Slavov, Lyuba Encheva, Emil Naumov, etc. promote the collection formation. Beginning in 1965 all Bulgarian gramophone records have been deposited and preserved in the Musical Department. Since 1972 music editions have been registered currently in The Bulgarian Bibliography – No1 National Bibliography Series, and records – in No 3 Series. The department serves a large group of readers – from students to academicians. Many musicians, composers, conductors, musicologists, critics, and lovers of music visit the reading room. The Musical department is the only one in the Library that students from secondary musical schools may use. Working time: Monday – Friday 08:30 a.m. – 05:00 p.m.